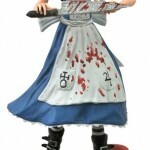 The Alice: Madness Returns Femme Fatales Statue is Stab-tastic! The wait is almost over! 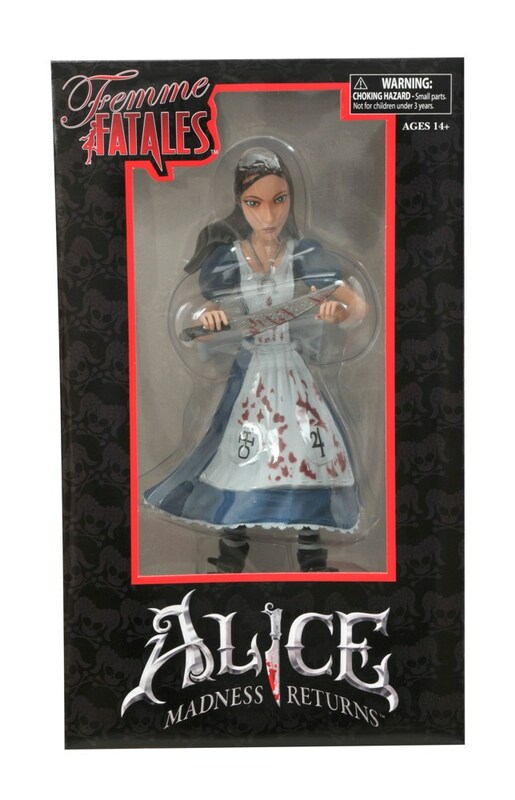 Arriving just after the new year, it’s the latest Femme Fatales PVC statue, based on the hit video game Alice: Madness Returns! 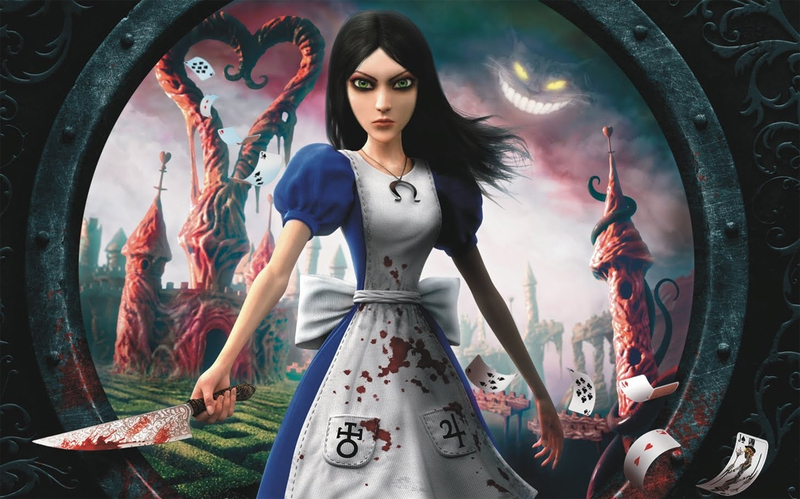 Sculpted by Steve Kiwus, ALice Liddell stands 9 inches tall atop a her display base, and holds the Vorpal blade, useful for slicing her way through Wonderland — or to the front of your display shelf! 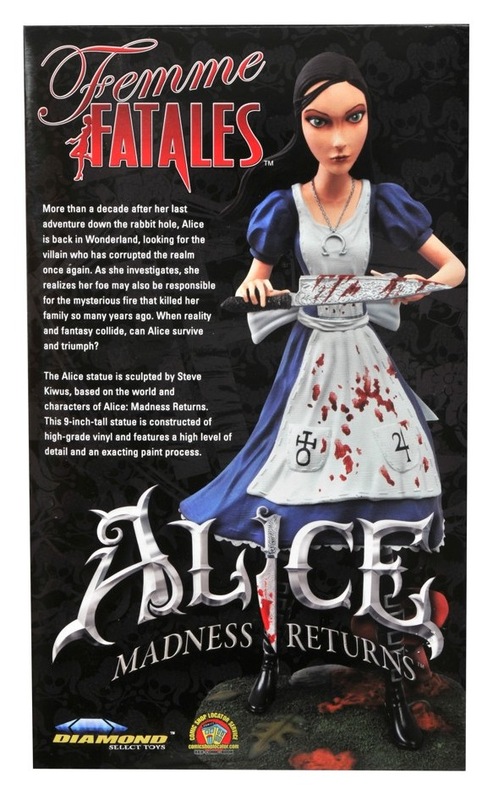 Pre-order her today at your local comic shop or through your favorite online retailer! 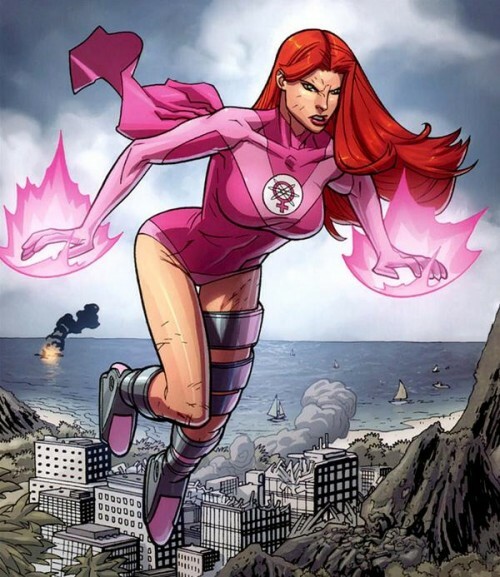 Next Up: Invincible’s Atom Eve Joins the Femme Fatales Statue Line! 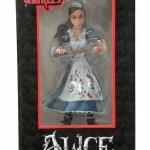 Madness Returns in New Alice Select Figure Photos! Invincible’s Atom Eve Joins the Femme Fatales Statue Line! 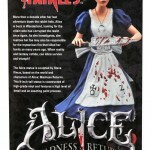 The Borg Have Assimilated DST’s Femme Fatales Statue Line! We’ll Take It! Ghostbusters Light-Up Firehouse Mini-Statue Coming Soon!